"Everything inspires me. I take inspiration from everywhere, basically." 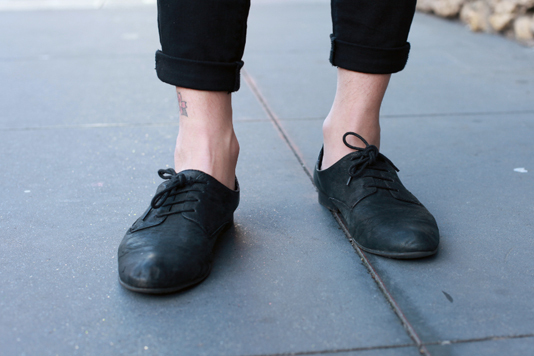 Love his rolled cuffs and shoes here. 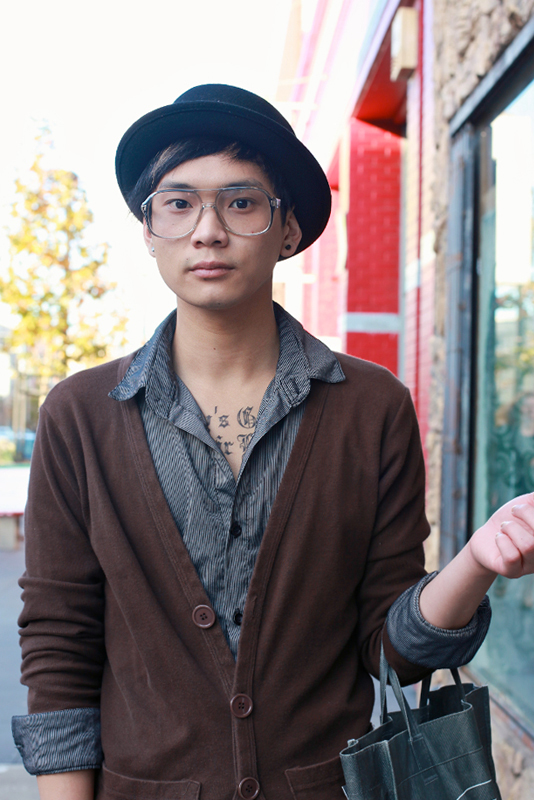 Men and bowler hats in SF. Zing! Another theme.